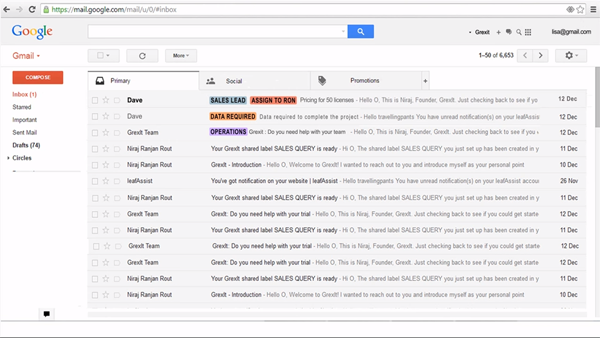 Customer relations management app Hiver, which turns Gmail into a collaborative tool that companies can use for customer support, sales, and task management, recently unveiled an update that will let users keep track of how often recipients open emails and click on their links too. The company is also working on an iOS version of the app that will be released in the last week of April, and updates to support Outlook and Office365, which will be released later this year. 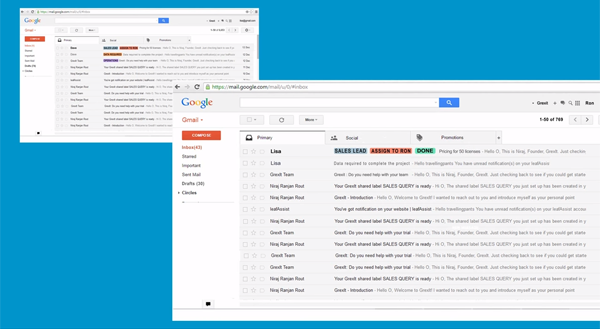 “We want to help users achieve at least 75 per cent of what they’d achieve through a dedicated collaboration/support/CRM tool right inside Gmail,” Hiver founder Niraj Ranjan Rout told ITBusiness.ca. Shared contacts, of course, allows teams to collaborate when reaching out to potential customers, while other features include email reminders, templates, and notes, which can be used to summarize a series of emails or conversation in Gchat. Since being released in 2010 under its original name, GrexIt (which was changed last September for obvious reasons), Hiver has been used by a variety of high-profile companies including Uber and Pinterest – not to mention the development team itself.